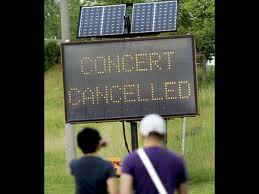 Outdoor stages: safe or not? Health and safety is always personal for me, but never more so than when I’m watching my own children perform. I’m writing from lovely Winston-Salem, North Carolina where our 13-year-old son is performing at the International Juggling Association Festival and our 18-year-old our daughter is dancing in a show as part of her American Ballet Theatre summer intensive. 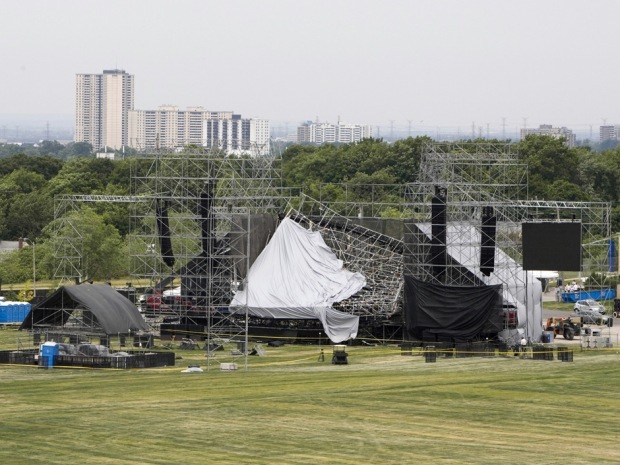 Thinking of my own family reminds me of how our larger live performance family was shaken by the Radiohead stage roof collapse in Downsview, Ontario this past June. Like many of you, I was profoundly grateful to hear none of my colleagues was involved – but heartbroken to know someone had died. How can we respond to this tragedy as a community? As outdoor events become bigger and more complex, safety practices must keep pace so artists can push creative boundaries without putting people at risk. As part of my work as a volunteer with the Ministry of Labour Live Performance Health & Safety Advisory Committee, I’m involved with the Temporary Outdoor Performance Structures Working Group. Our goal is to create a guideline for organizations that design, construct, install, operate and maintain these structures at performance and event venues. I am pleased to see so many caring and experienced professionals have stepped up to help us.
! Finally I’ve found something that helped me. Many thanks! The Olympic Cauldron – what took so long?